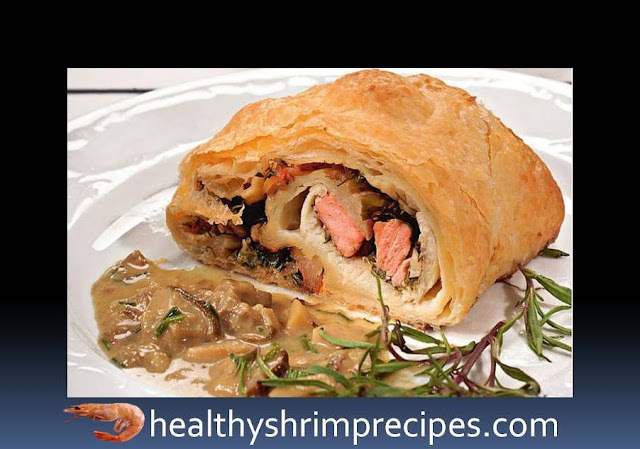 Today I will tell you how to cook delicious fish and shrimp recipe – another very classy and healthy dish for every seafood lover. This must be one of the most successful combinations of fish and shrimp. 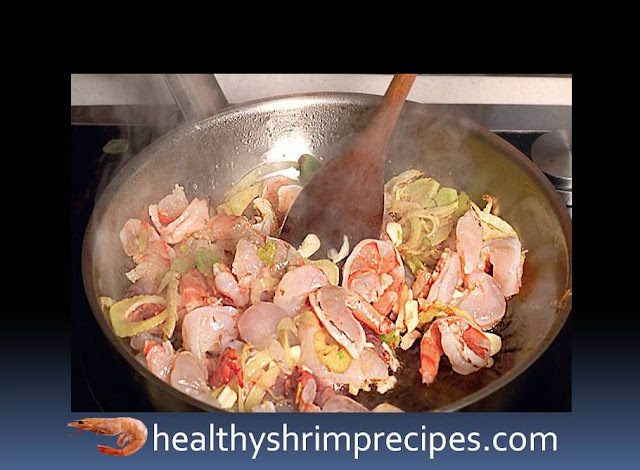 $Step 1 - Wash and dry fish fillets Shrimp cleaned of shells and heads. Salmon cut into small pieces. 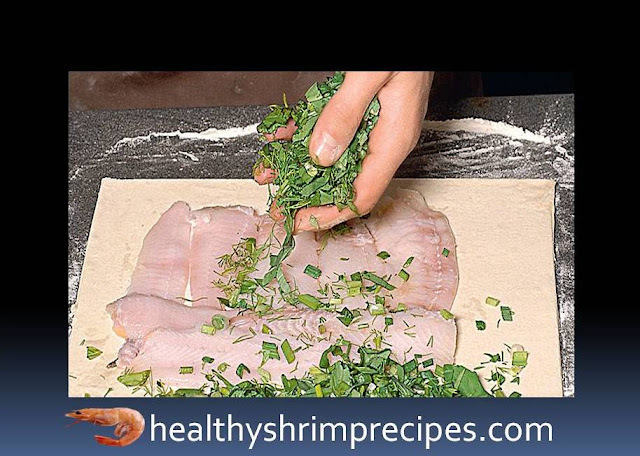 $Step 2 - Rinse greens and fennel, dry Fennel cut into thin rings Basil disassembled into leaves; chop together with onion and dill. $Step 3 - Heat vegetable oil in a pan Fry fennel, 4 min. 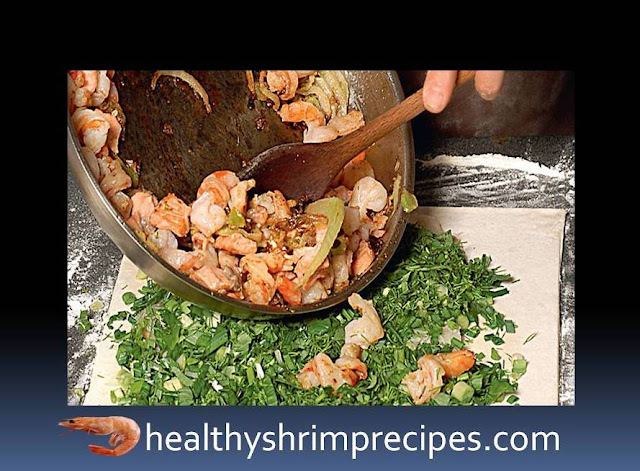 Add shrimp and cook, stirring for another 2 minutes. Sprinkle with wine; let the wine evaporate over high heat. Add salt and pepper to taste. $Step 5 - Top with fried shrimp with fennel, and then slices of salmon. $Step 6 - Preheat oven to 190 ° C. Roll the dough into a roll. Brush the edges with yolk, tuck. Place the roll on a greased baking sheet and bake for 40–45 minutes. When serving, you can pour mushroom sauce.